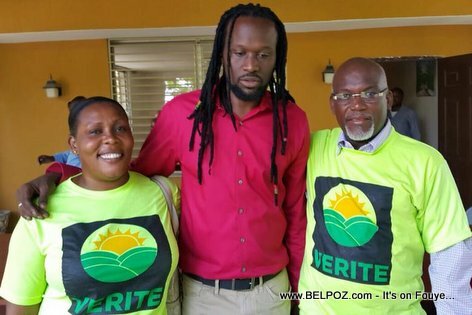 KREYOL: FLASH... Haiti - Don Kato Candidat pou Senatè Depatman Lwès... Kato depoze pyes li Jodi a... Kisa ou panse de sa? Kato poste sou facebook li: "Frèm ak sèm yo nan moman map pale la mwen twouvem nan KEP a kote map fè depo pyès mwen yo nan objektif poum kontinye batay la bò kote nou nan bon bò a. Ann kontinye batay"
What do you think about that? Brothers and sisters at the time I speak I find myself at the CEP where I am depositing my documents with the goal to continue to fight beside you in the right side (bon bò a). Let's keep fighting! Kontakte UNICREDIT FAST PRÈ kounye a pou tranzaksyon imedyat ou. Li se vit fasil ak sekirite. Ki sa ki bezwen finansye ou? Ou ap enfòme ke Mr Pinto Jolanda Fondasyon se kounye a bay soti prè bay moun ki, konpayi ak ko-operasyon kò ak abòdab to enterè 1%. ou bezwen yon prè ijan yo rezoud pwoblèm finansye ou epi yo kòmanse biznis ou oswa ogmante lokal biznis ou a? si se konsa tanpri kontakte nou via e-mail: intesa. So ou ap travail epi ou besouin ouveir you biznis, you restoran, you londromate, you boutik vetman, produi cosmetic, you studio de beautei, you grocerie, you photo studio, you magazin souliers, you boulanger, etc. epi ou guinyin partner, bienveni nan Oasis. Sa a se yon enstitisyon finansye ki moun ki ka ede moun ki bezwen asistans finansye! Mwen isit la Pou entwodui ou nan yon prè program.